A superior quality desk from about 1900 is solid quarter sawn oak with raised panels all around and original carved pulls. 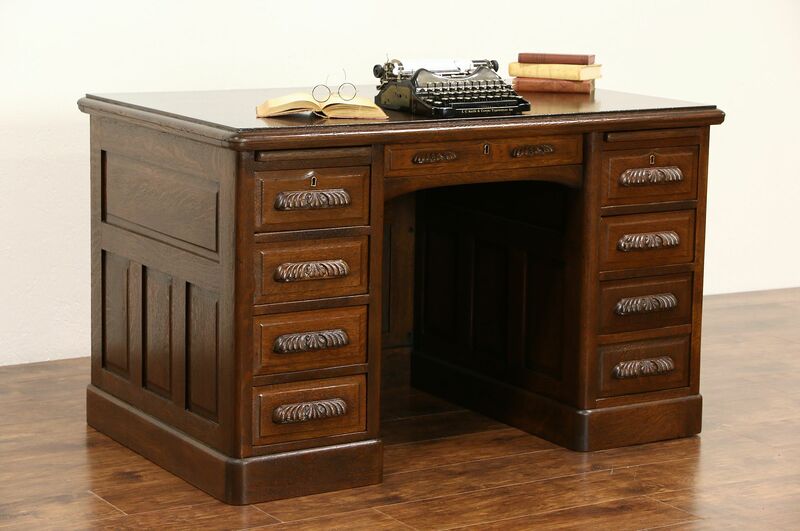 The restored deep finish is in excellent condition on this antique American made library or office furniture. Deep drawers have dovetailed joints, there is a file drawer and two pull out shelves for extra work space. Measurements are 50" wide, 32" deep, 30 1/2" tall and the knee hole is 20" wide and 25" high. See 24 photos that enlarge to full screen size.